Conflicting with some provision of the constitution. A statute found to be unconstitutional is considered void or as if it had never been, and consequently all rights, contracts or duties that depend on it are void. Similarly, no one can be punished for having refused obedience to the law once it is found to be unconstitutional. A code of laws governing various commercial transactions, including the sale of goods, banking transactions, secured transactions in personal property, and other matters. The UCC was designed to bring uniformity in these areas to the laws of the various states. It has been adopted, with some modifications, in all states (except Louisiana) as well as in the District of Columbia and in the Virgin Islands. 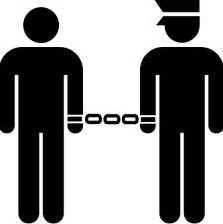 A misdemeanor in common law consisting of a meeting of several persons with a common plan that, if carried out would result in a riot; a meeting of persons who intend to commit a crime by open force; a meeting to execute a common design, lawful or unlawful, in an unauthorized manner that is likely to cause a breach of the peace.